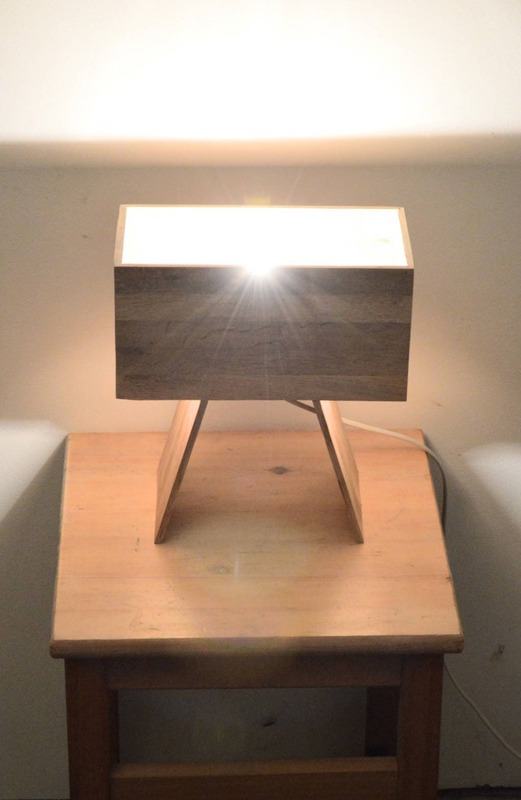 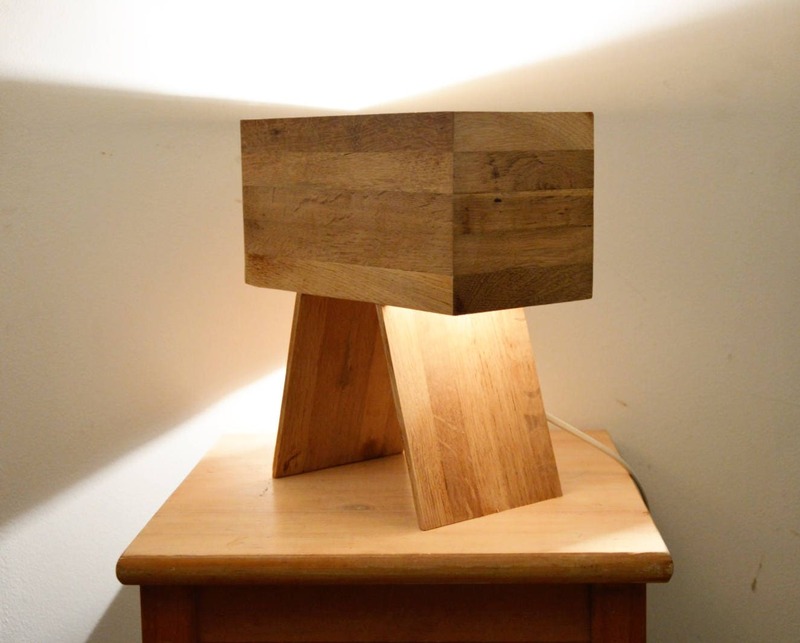 Wooden design lamp, table lamp, rectangulair design. 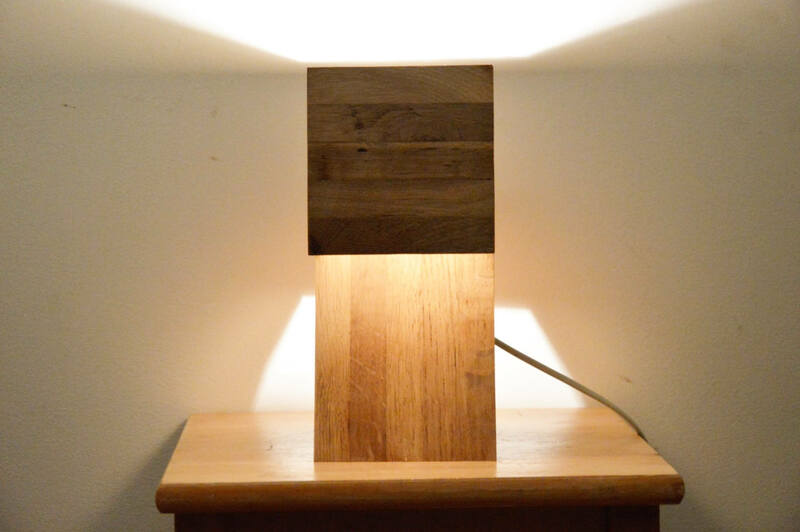 Made from recycled oak flooring wood. 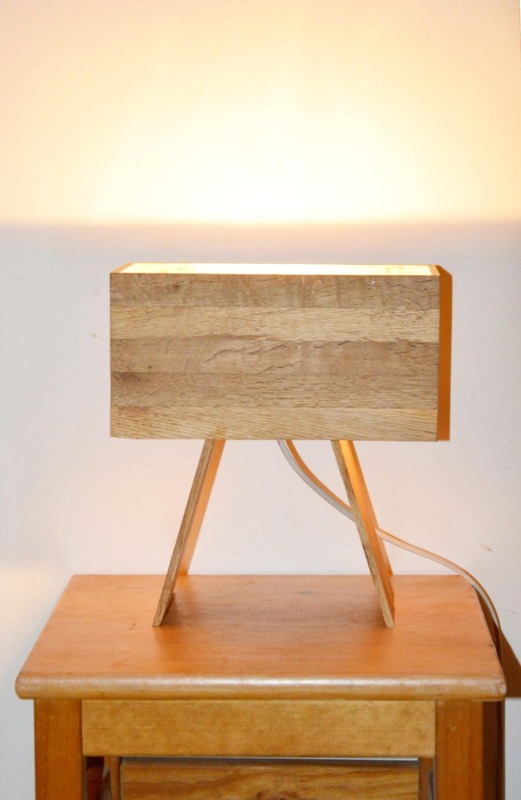 Modern design that brings a soft and warm atmosphere in your home. 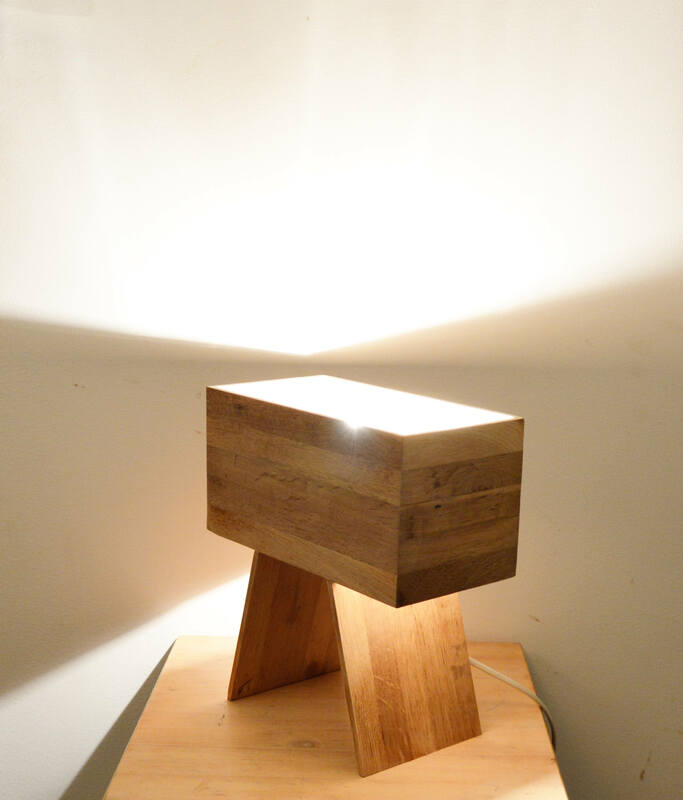 Make yourself comfortable in your living room with this modern little lamp.